The Schuler Scholar Program, working with Maine East and 12 other partner schools, annually identifies high-achieving and highly disciplined eighth graders and devotes the next four years to grooming these teens for admission to and success at the nation’s top private colleges and universities. 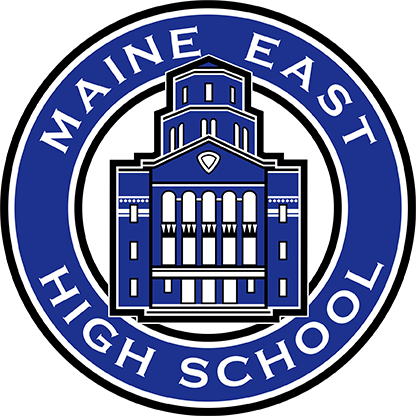 The program has been a huge benefit to Maine East High School students and is a shining example of what business executive Jack Schuler and his daughter Tanya first envisioned. Students selected are often the first in their family to attend college and usually students who could not afford top-tier universities without the resources that Schuler invests. And the extent of those resources is little short of amazing. That’s only the beginning. Throughout all four years at Maine East, Schuler provides 1-to-1 tutoring for its scholars. Reading enrichment. Writing enrichment. Lessons in quantitative reasoning. Preparatory work for SAT exams. They provide students cultural exposure activities such as attending opera and ballet performances. The goal? To help students extend learning outside of the classroom and expose them to something new that will challenge them to think about the way they think about themselves and the world around them. And then, there’s the more direct college preparation component. Schuler Scholars are placed in on-campus summer programs between sophomore and junior years, taking a course. This gives Schuler Scholars a chance to feel what it will be like to be a college student someday and to start asking: What do I want in a college, and what type of college would be the best fit for me? When Schuler Scholars are juniors, the program takes them to visit top-tier campuses across the country, helps them prep for SAT exams, teaches them how to compose effective personal admission essays, how to navigate the daunting field of financial aid. Every year, Maine East’s Schuler Scholars announce they will be attending such schools as MIT, Stanford, Emory, Washington University in St. Louis, Dartmouth, Franklin and Marshall, Vanderbilt and Davidson. Additional information may be found at the Schuler Scholar Program website or contact Karly Vance ([email protected]) with questions.